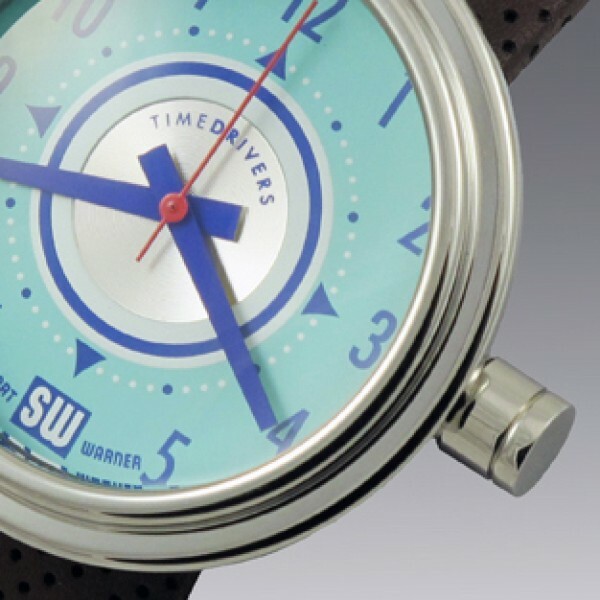 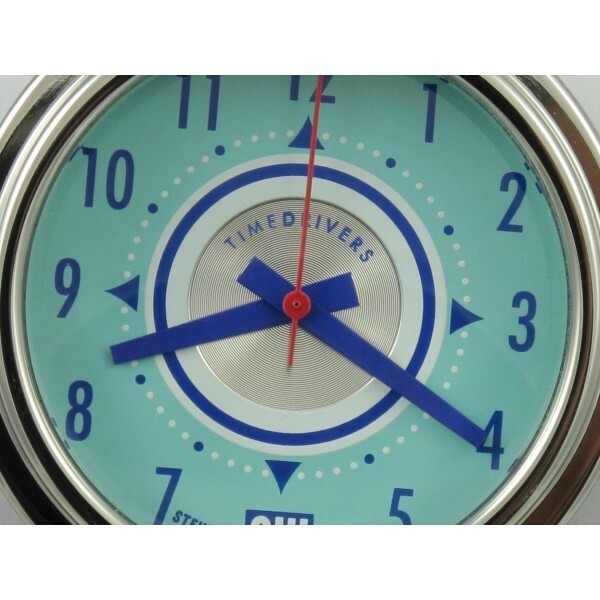 From it’s period correct raised and rounded polished bezel surrounding a curved mineral glass crystal, protecting the coral blue dial with cobalt blue numbers and royal red seconds hand, the Marine Line gauge by Timedrivers is a distinctive timepiece, designed under license from Stewart Warner. 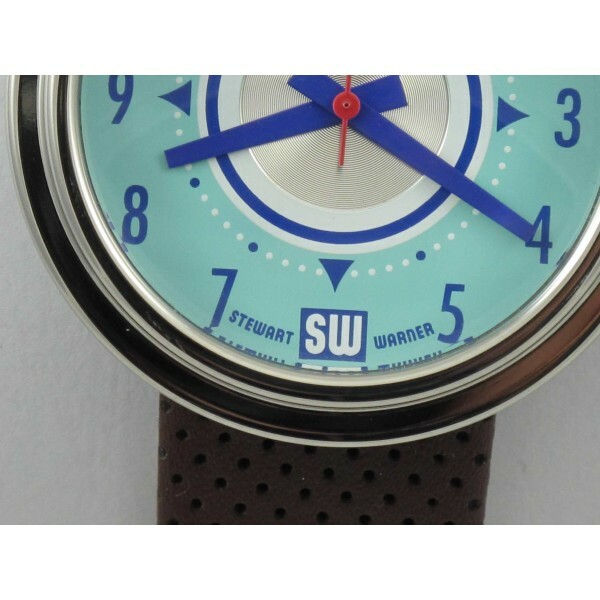 The precision quartz movement is housed in a machined stainless steel case that is shockproof and waterproof to 100 feet. 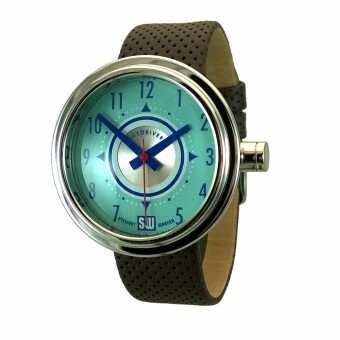 Completing the nautical look is a perforated dark brown leather strap and polished stainless steel buckle.